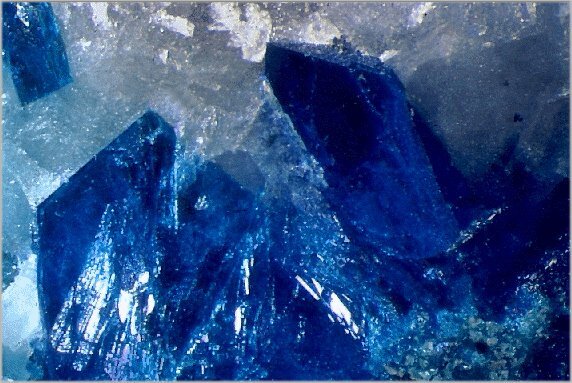 Comments: Electric blue crystals of papagoite in matrix. Location: New Cornelia mine, Ajo, Pima County, Arizona. USA.